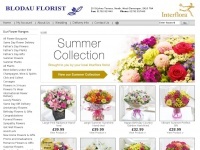 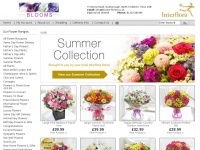 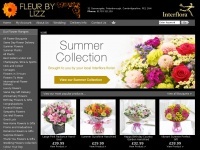 ASHDOWN FLOWERS in East Grinstead, West Sussex, RH19 4EQ delivers to East Grinstead, Ashurst Wood, Forest Row, Turners Hill, Crawley Down, Copthorne, Felbridge, West Hoathly, Sharpthorne, Dormansland. 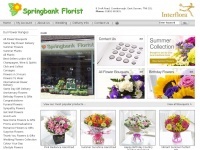 BLOOMS in Scarborough, North Yorkshire, YO11 1SB delivers to Scarborough, Ravenscar, Ebberston, Primrose Valley, East Hestlerton, Harwood Dale, Eastfield, Scalby, Burniston, Newby. THE CROMWELL FLORIST in Grimsby, South Humberside, DN31 2BB delivers to Grimsby, Cleethorpes, Immingham, Humberston, Waltham, Healing, Laceby, New Waltham, Holton-le-Clay, Keelby. floraldesigninverurie.co.uk - Eileen Robertson NDSF, holder of the National Diploma of Society of Floristry. 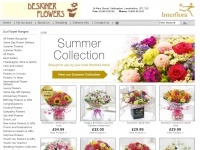 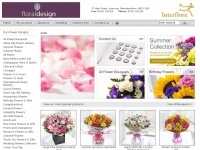 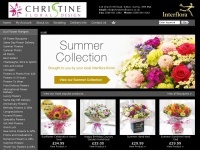 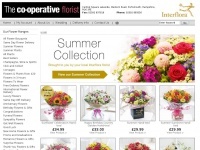 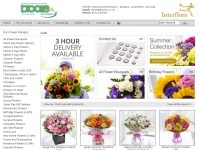 As an Interflora florist our a ..
FLORAL DESIGN in Inverurie, Aberdeenshire, AB51 3QA delivers to Inverurie, Kintore, Kemnay, Alford, Blackburn, Insch, Rothienorman, Oldmeldrum, Newmachar, Fyvie.